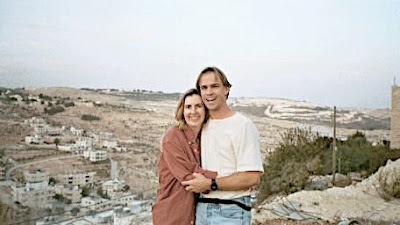 This is a shot of Joyce and me in Bethlahem in 1999. We returned to the Holy Land, and helped lead a team of a Christians in Theatre Arts to perform and teach throughout Jordan and Israel May, 2011. We posted stories and some photos here and more photos to CITAToTheNationsJordanAndIsrael.shutterfly.com. Click here to see photos from our previous trips. We slept through a typhoon!